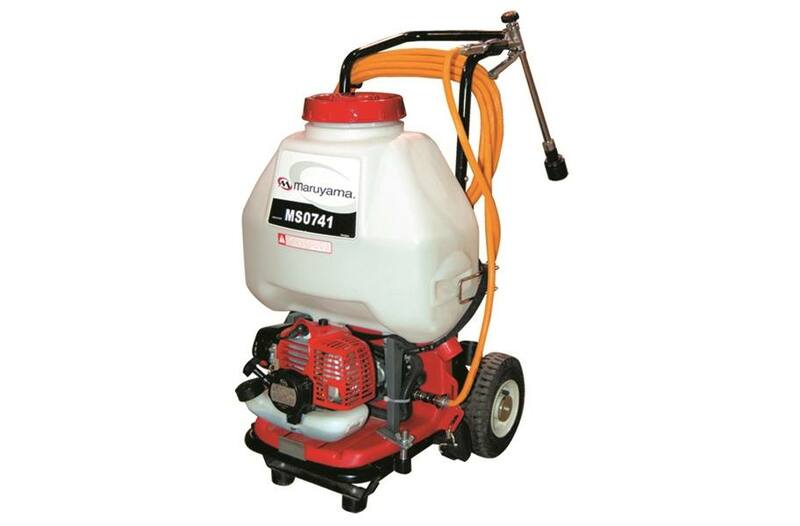 * Maruyama's CER30 cc Clean Engine provides incredible power for this sprayer. * Ergonomic backpack design makes the job more comfortable. * Versatile — Use as a backpack, attach to optional cart or mount it to your truck! * NO SWEAT™ Recoil Starter Assist System requires approximately 30% less effort on starts.